I live in this funny small town that I absolutely adore. Where you can buy whole salmon from the locals on the street, or stop by any local orchard to u-pick apples, berries, and pears. The markets, and for a small town we have a lot, are packed full of local farmers bringing their fresh bounty full of squash, tomatoes, herbs, peaches, cheese, and meats. But my favorite and most unique vendor is the small, but fastly growing, Blue Bus Cultured Foods. Where they make and sell small batches of naturally fermented artisan foods. Including sauerkraut, kraut-chi, and other seasonal items, like kohlrabi kraut. My head is exploding with the different cocktail ideas using the brine. It will happen. This recipe was written for and published in The Gorge Magazine. temperature. 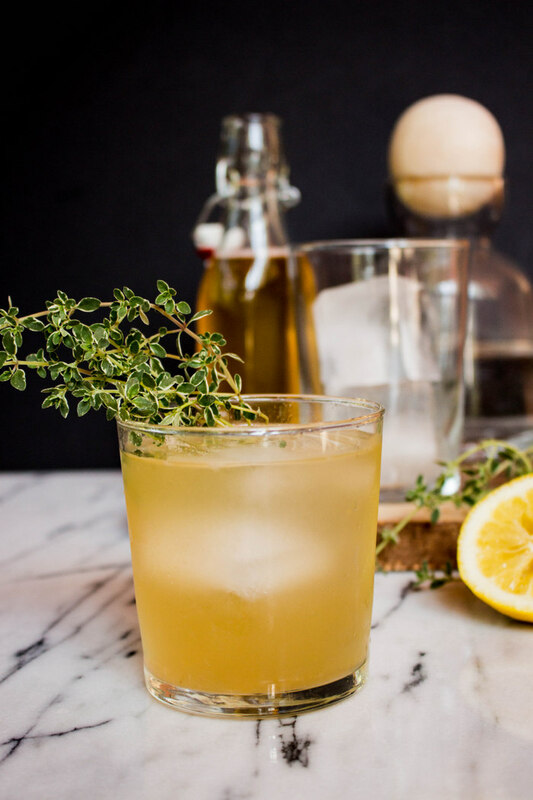 Remove thyme sprigs and store in a glass jar and refrigerate. 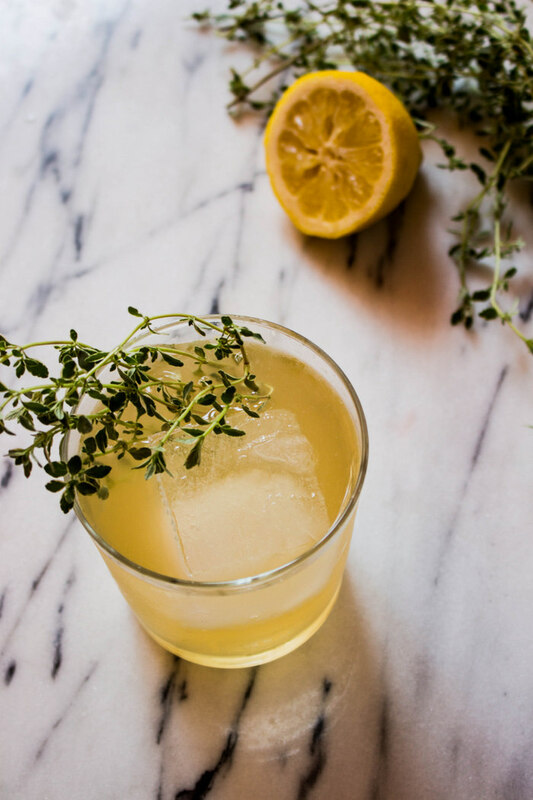 Pour the vodka, lemon juice and a splash of thyme simple syrup into the glass. Give it a quick stir and add ice. 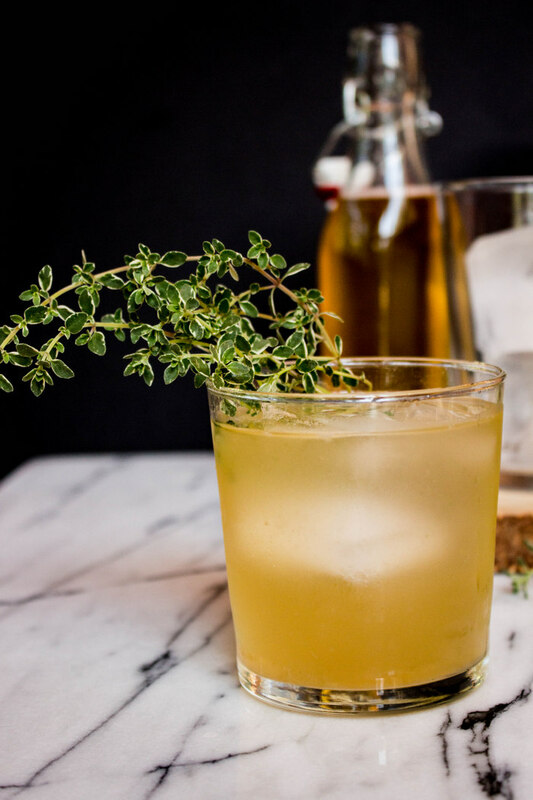 Top off with kombucha and a sprig of thyme for garnish.